House music is far from dead and has transformed into some of the hottest tracks laid down by some of South Africa’s best Dj’s. I grabbed a few girlfriends and went to watch South Africa’s top house dj play at new local hotspot, The Address. For some first appearances can be deceiving, but if your looking for comfort and style mixed with friendly faces and great music then this is where you should have been. In conjunction with Hunters Edge, the news editing to the Hunters family, Dj Kent was brought out to this stylish establishment to rock the house with hits from his latest album as well as the hits that made him a hpise hold name. The club was filled to capacity with patrons eager to witness the number one Dj in the country. Accompanied by some of the legendary djs that run the music circuit in Cape Town with the likes of Dj Willy, Clint the Legend and Gary Poole as opening acts, Kent proved why his the number one dj in the country. Khensani Mabaso was born and raised in Pimville, Soweto and what started out as playing for valentine’s day parties at high school or 21st birthdays and local events turned into a the duo best known as Kentphonic when he teamed up with Euphonic and then moved on to produce his Masingita and Uwrongo featured on Dj Fresh’s album and to date had earned him 2 SAMA awards, Metro fm awards among others . His departure from 5fm’s Rodger Goode show has left a hole for many, but moving up the charts has opened up many more doors for this talented muso. His latest album “Evolution” is the perfect display of his signature style known as mega mixing, a style imitated in 12 different countries. 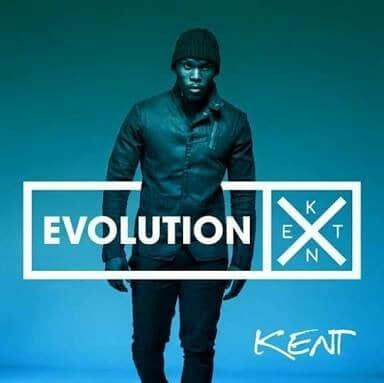 Kent has proven to all that when passion meets fusion becoming the number one Dj in the country is easy. As for dancing the night away, if you’re ever in the mood for a good time, grab a Hunters Edge and head on over to The Address with friends. You never know which local star you might find there next! Adele is a multi-talented superhuman. Mom, blogger, stylist and fashion designer - this lady is going places! Join her as she blogs about her journey in Cape Town.